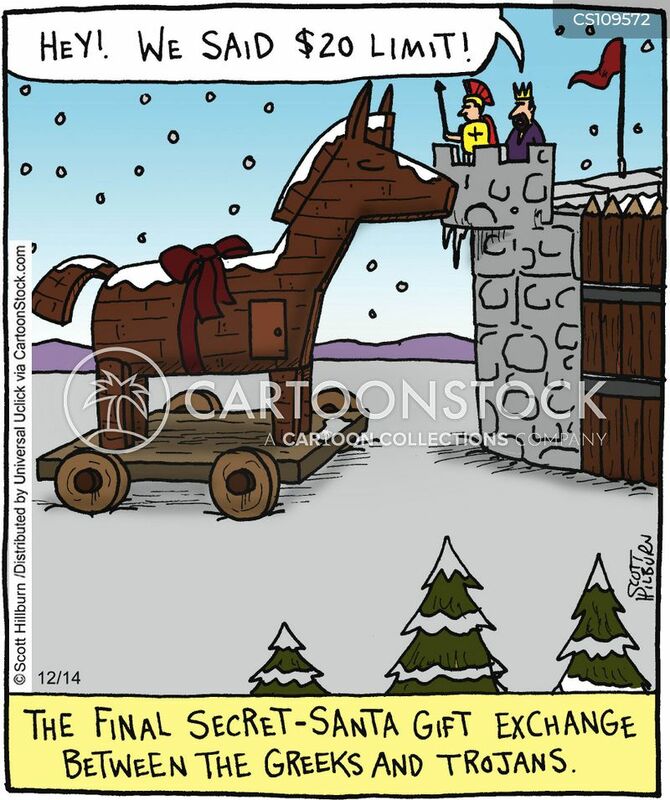 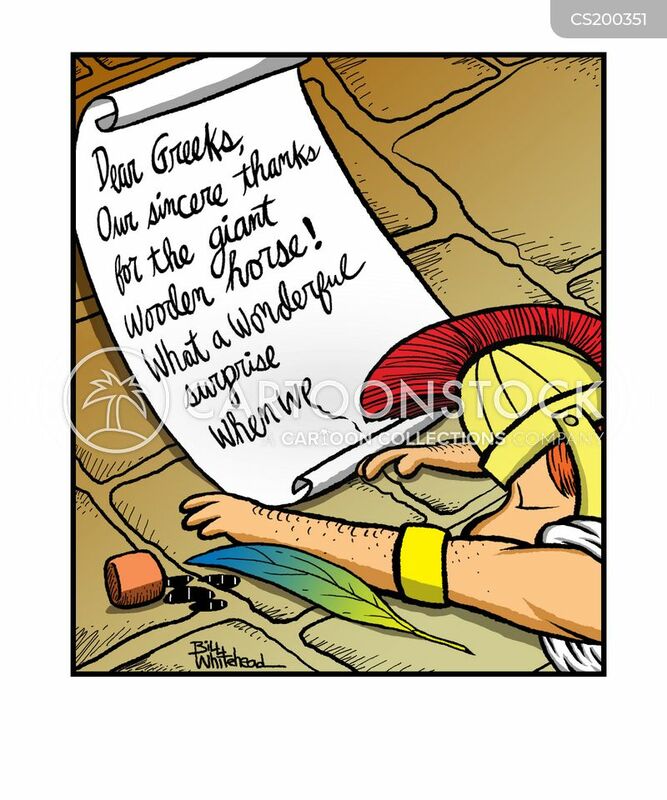 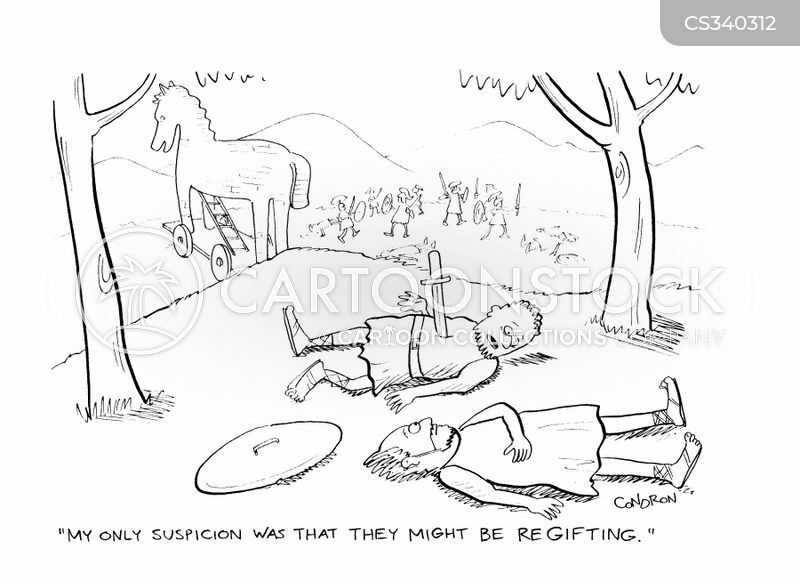 The final secret-santa gift exchange between the Greeks and the Trojans. 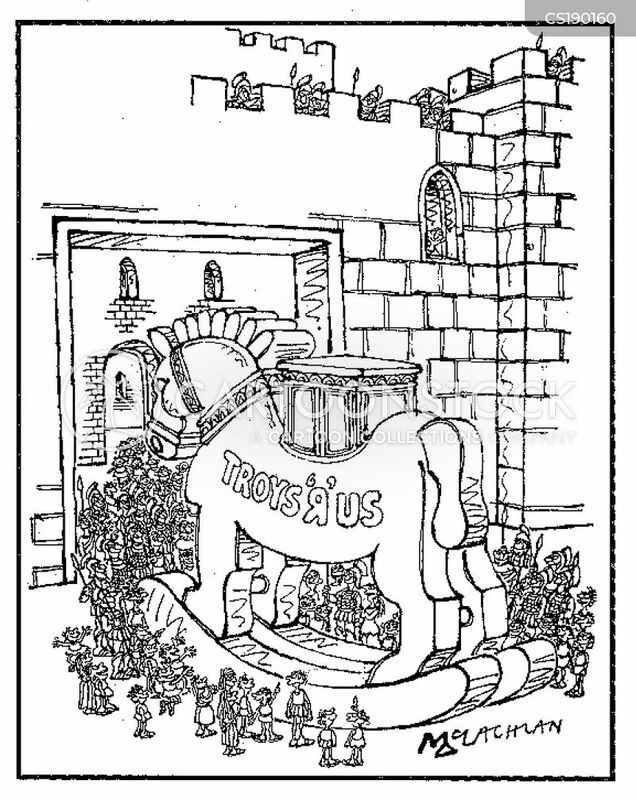 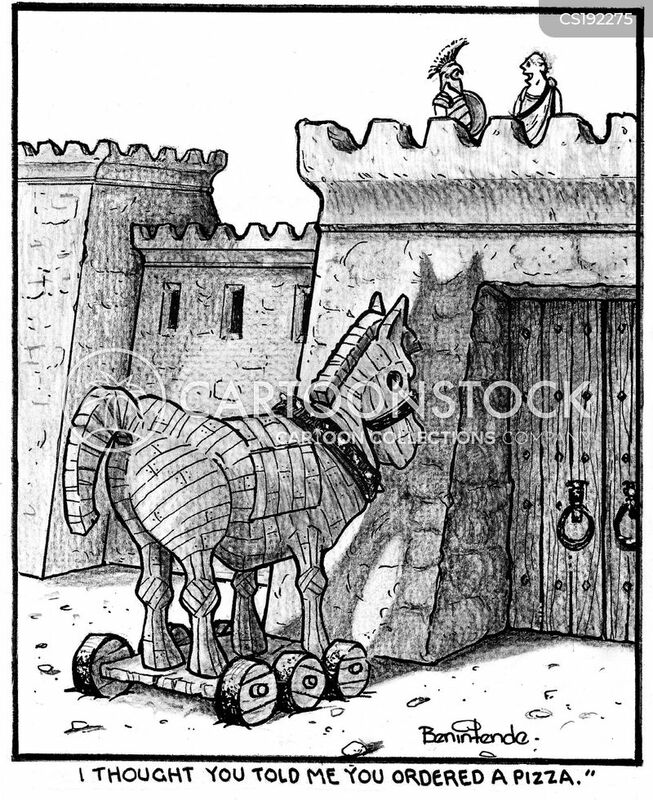 A miniature Trojan Horse sits out front a sand castle. 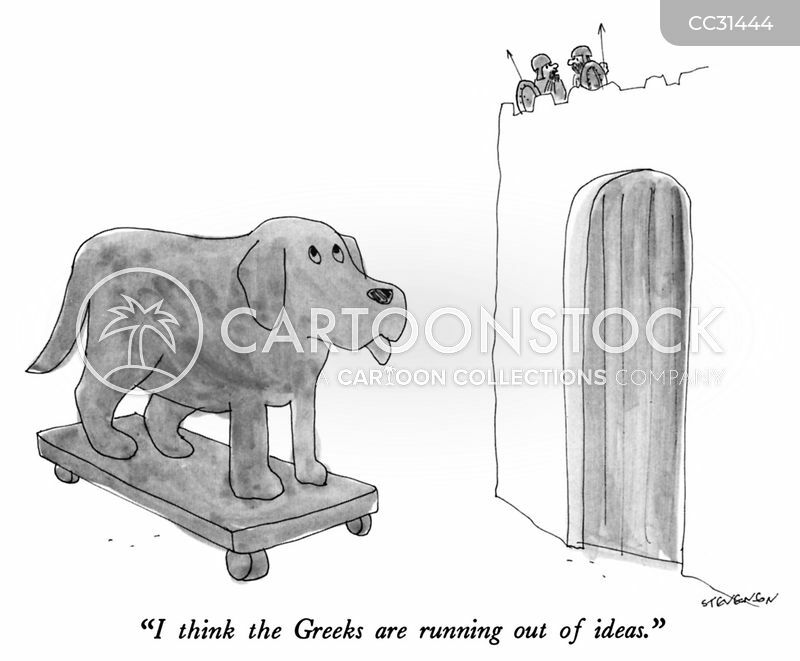 "I think the Greeks are running out of ideas." 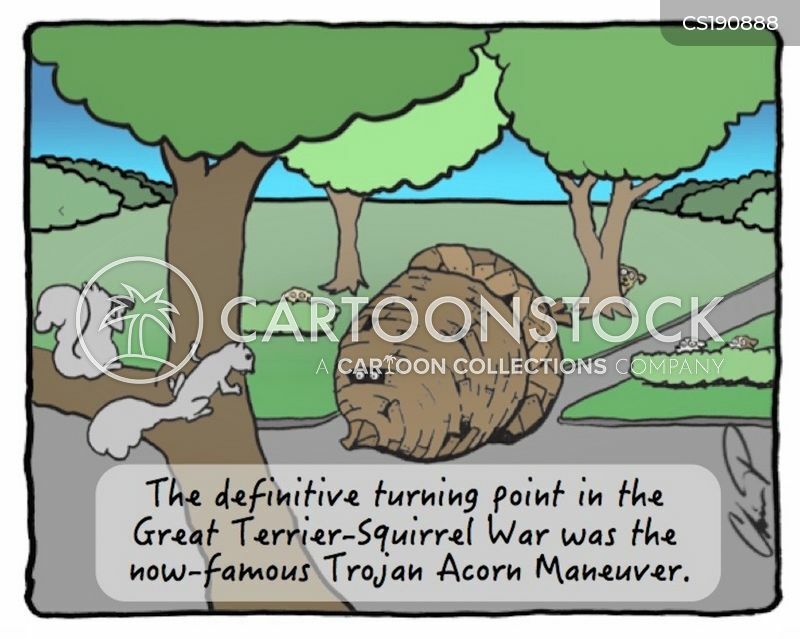 The definitive turning point in The Great Terrier-Squirrel War was the now-famous Trojan Acorn Maneuver. 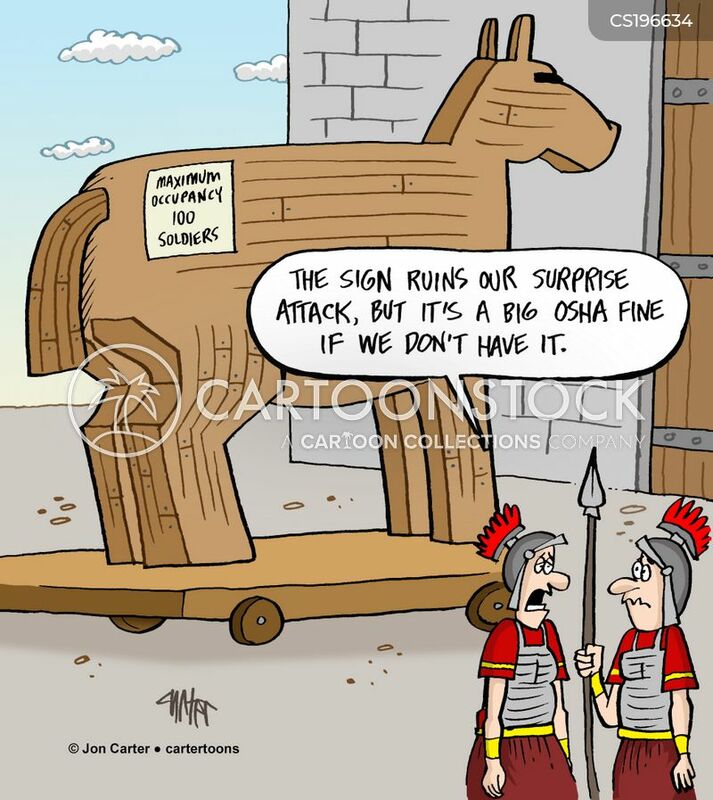 "The sign ruins our surprise attack, but it's a big OSHA fine if we don't have it." 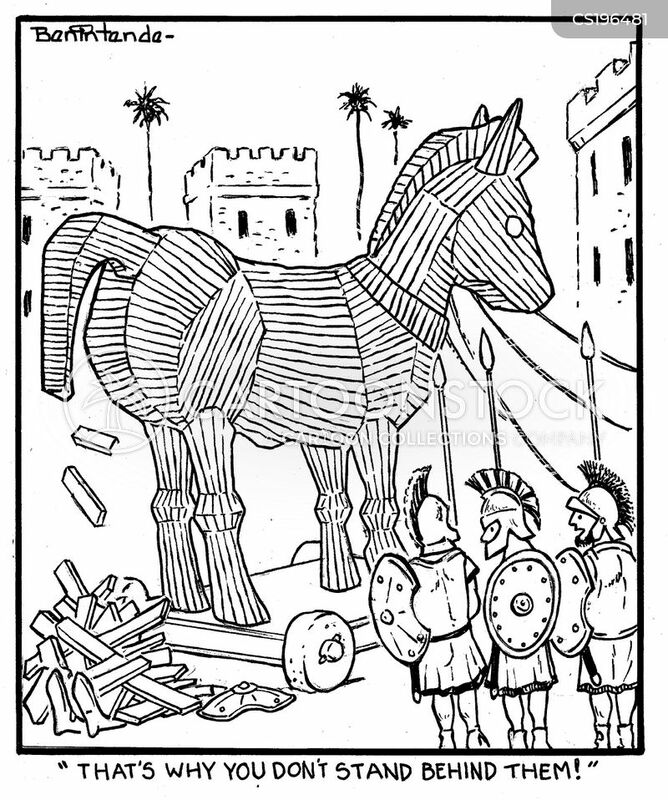 "That's why you don't stand behind them!" 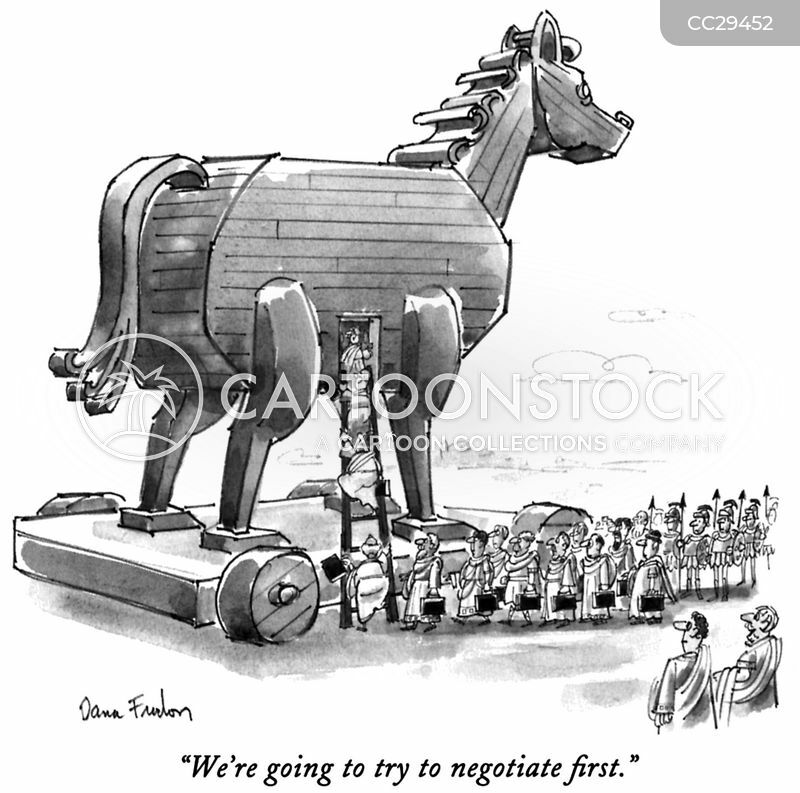 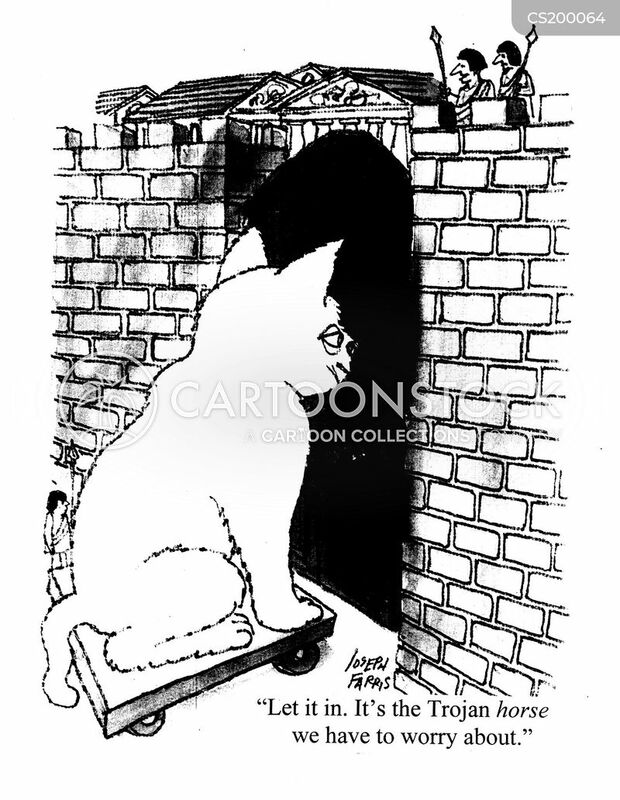 "We're going to try to negotiate first." 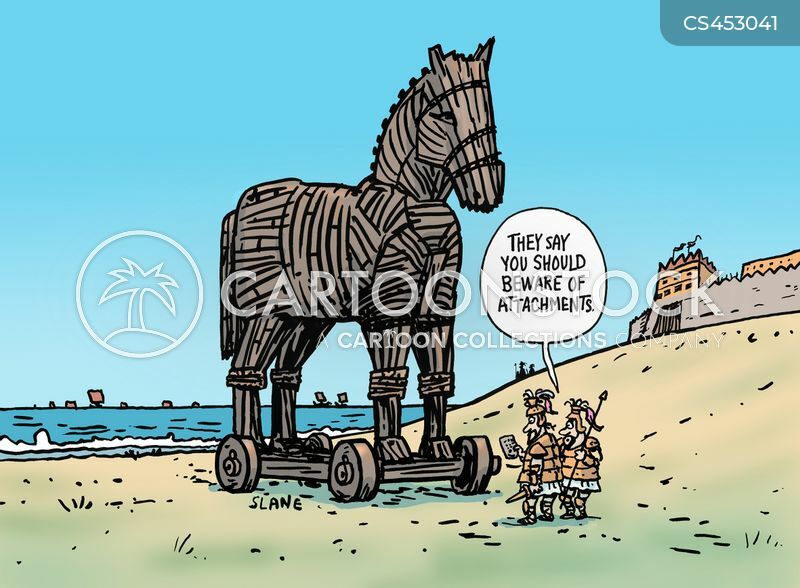 "They say you should beware of attachments." 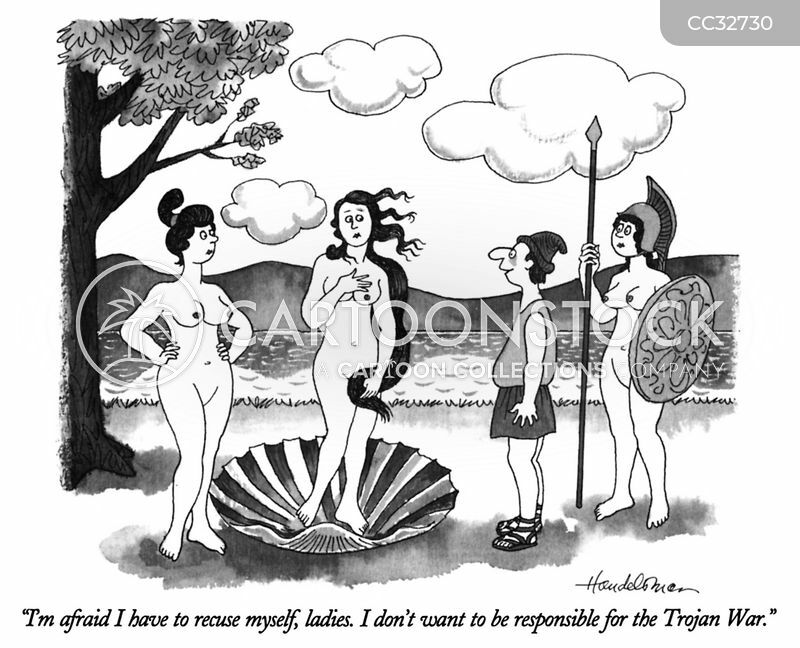 "I'm afraid I have to recuse myself, ladies. 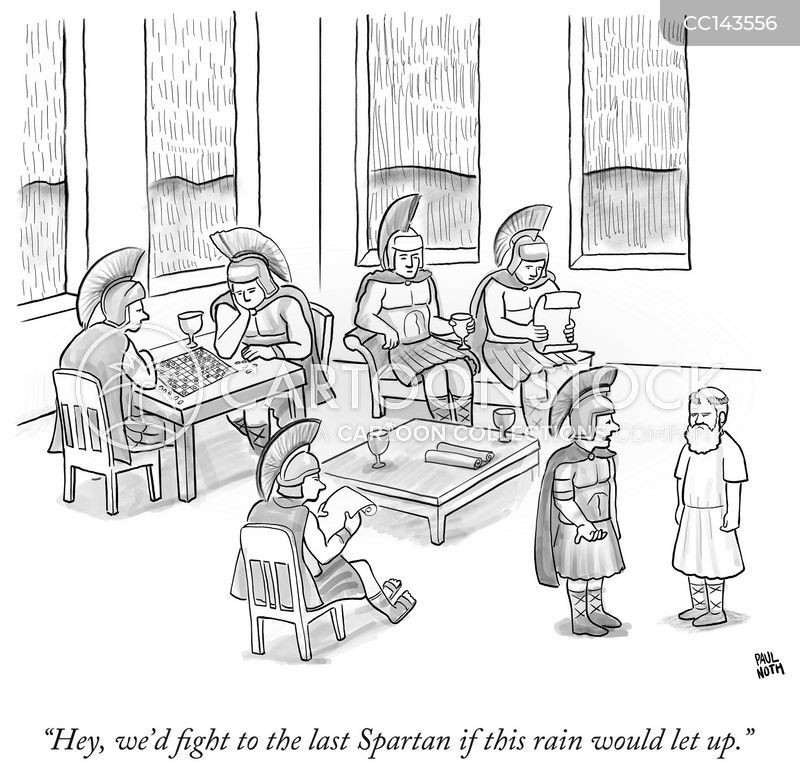 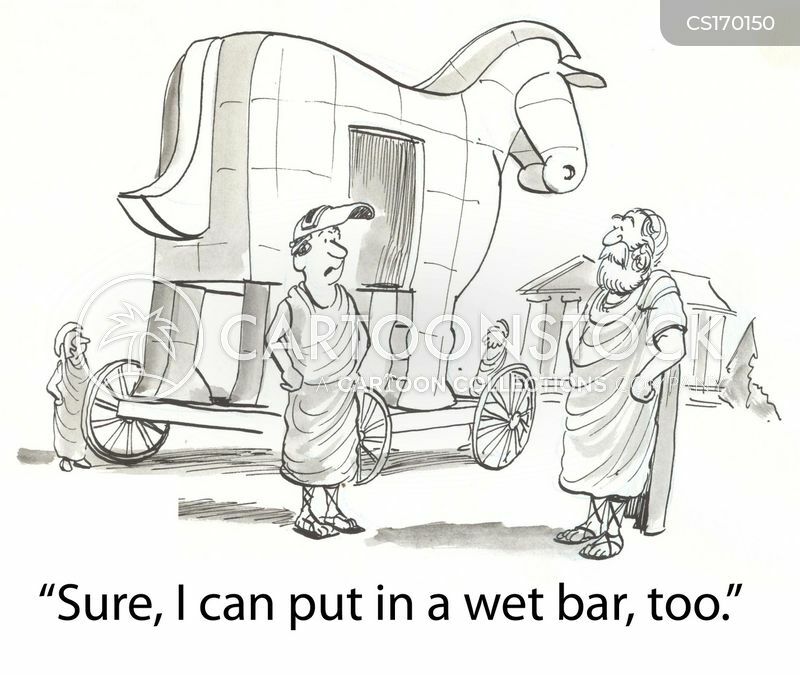 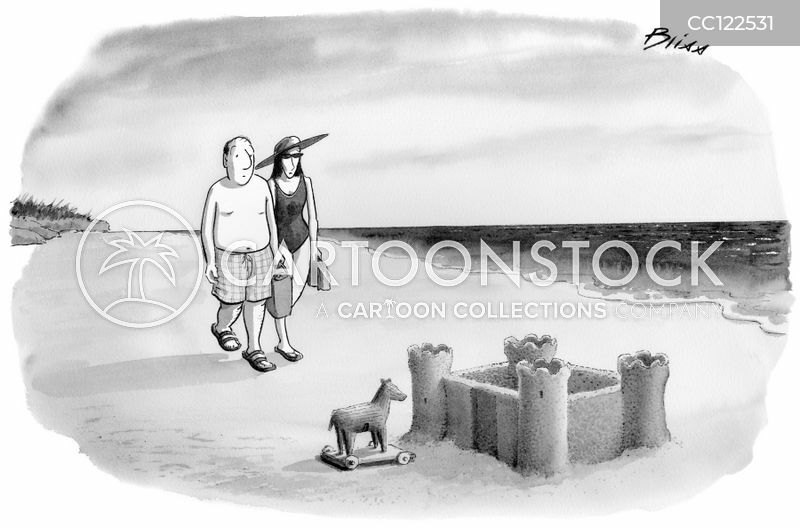 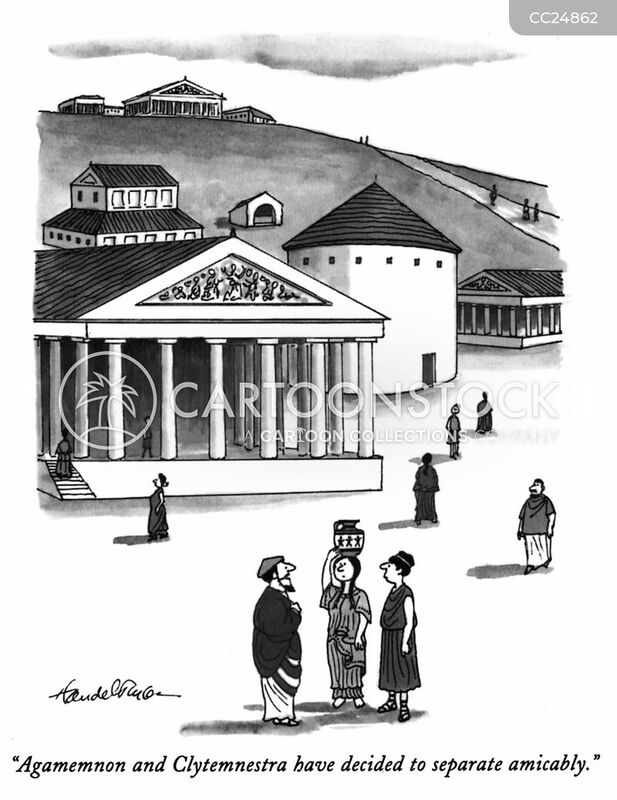 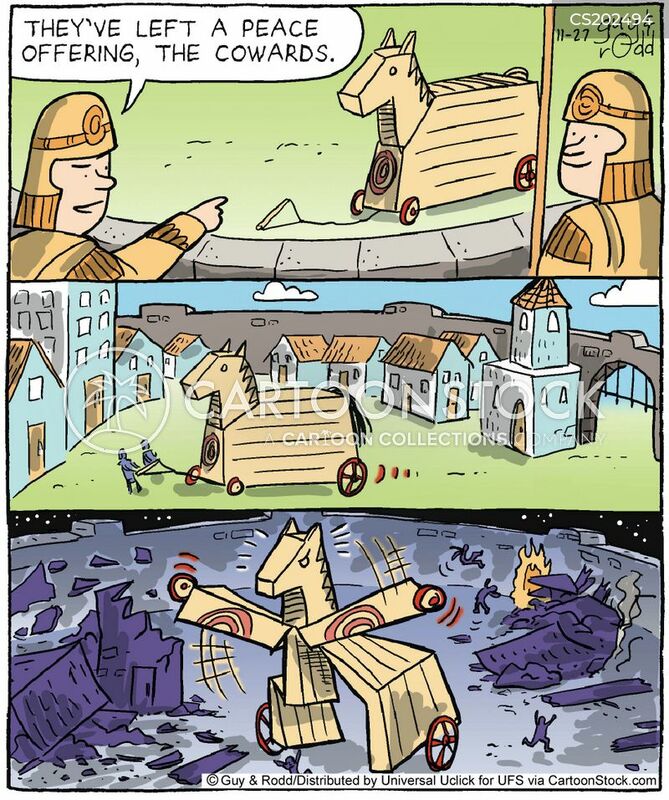 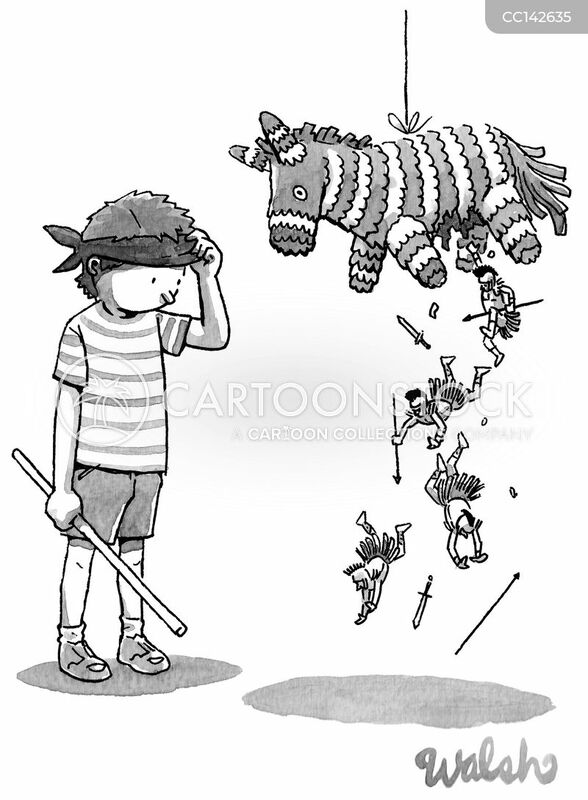 I don't want to be responsible for the Trojan War." 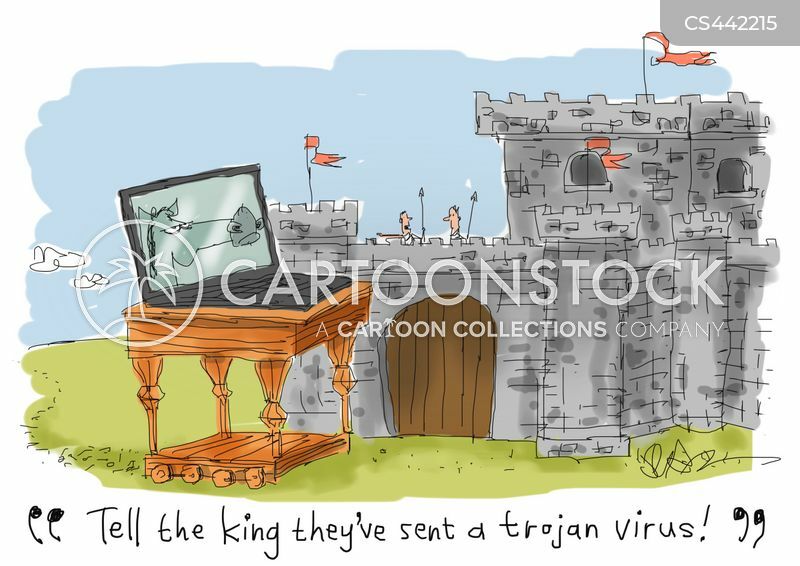 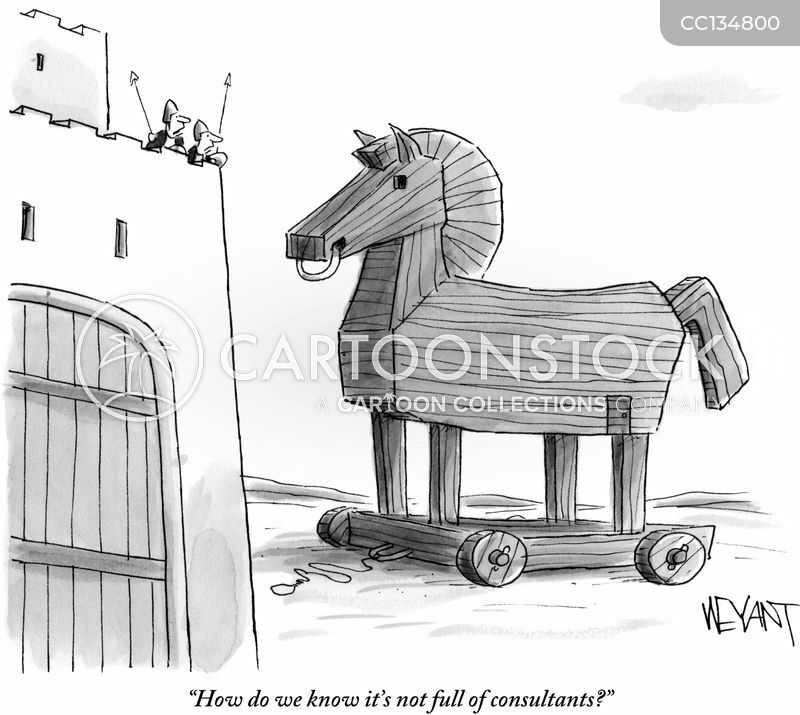 "Tell the king they've sent a trojan virus!" 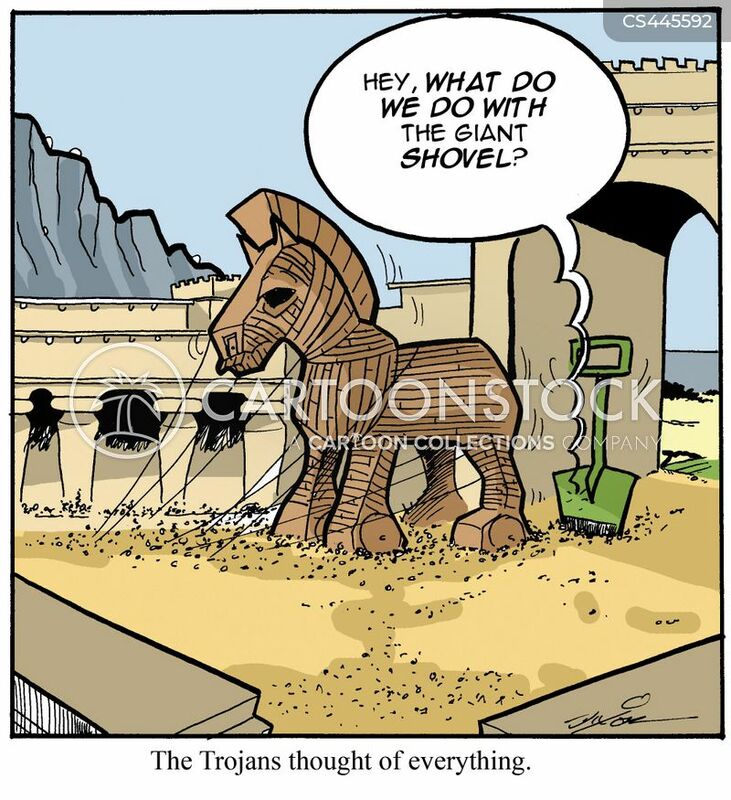 The Trojans thought of everything. 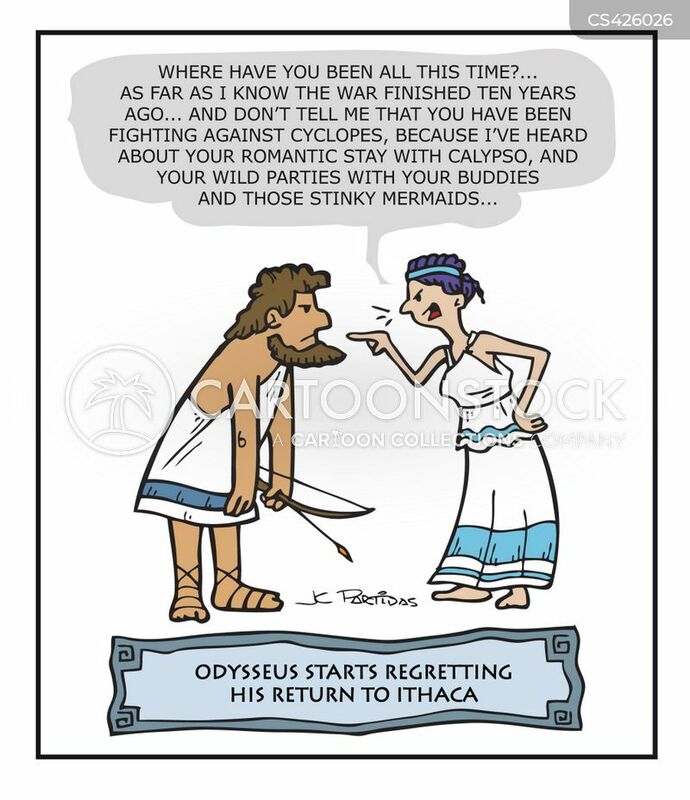 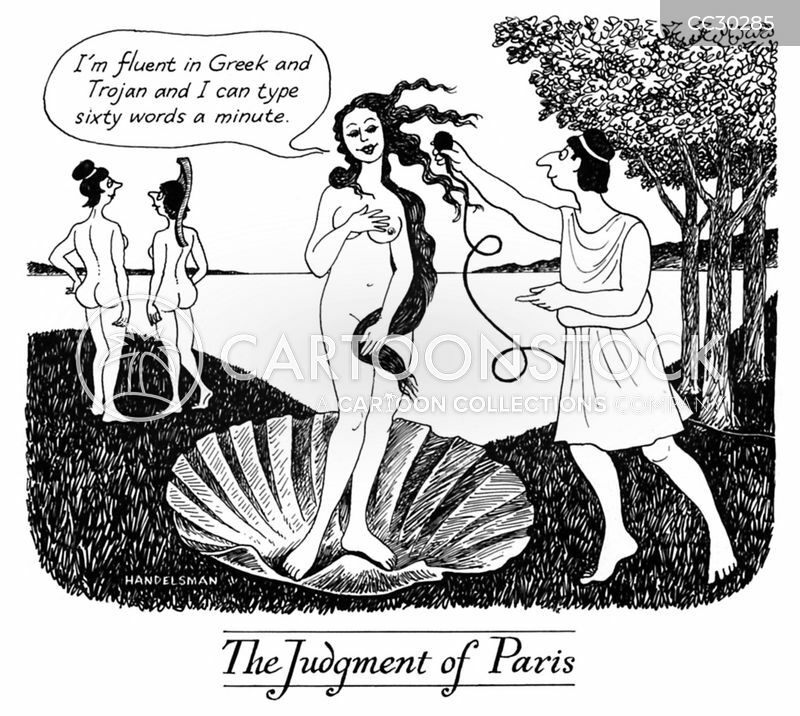 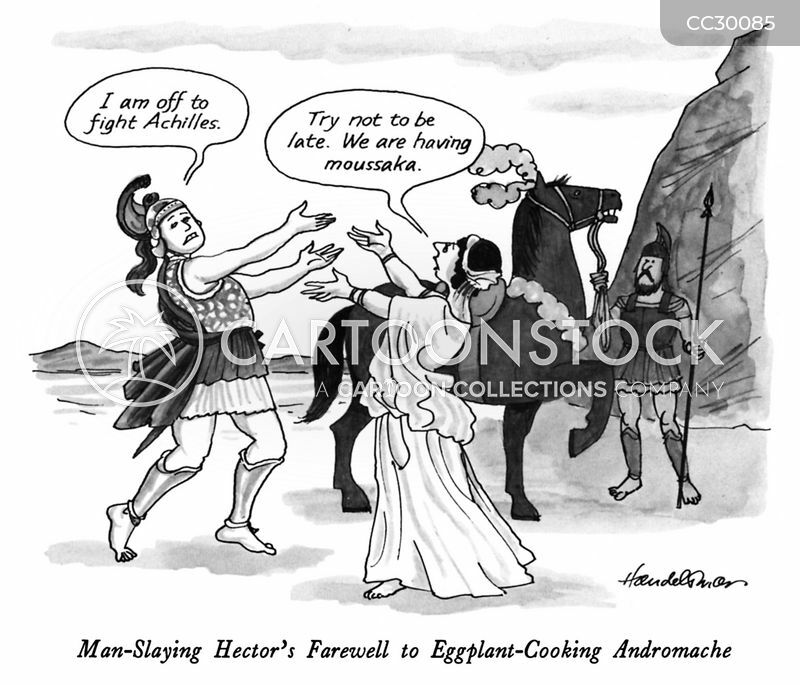 Odysseus starts regretting his return to Ithaca.